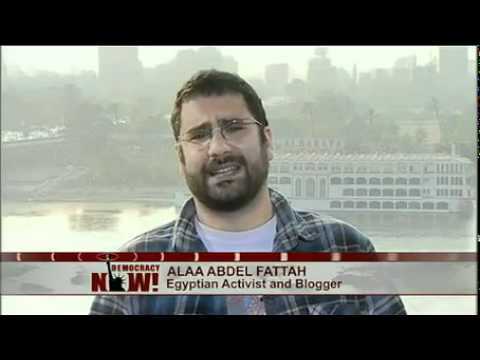 Egyptian Blogger-Activist Alaa on Democracy Now! Amy Goodman interviews Egyptian blogger and activist Alaa Abdel Fattah, who was recently released from jail, on Democracy Now! @Alaa is a renowned leftist blogger from a family of longtime Egyptian activists. He was arrested for challenging continued military rule and now supports having the speaker of parliament, who will be chosen in January, assume the office of the presidency.